When skin care company representatives consider methods of advertising skin care products, they often overlook a very simple and effective technique. Blogging may not seem like a powerful advertising force but tailored in the right way, it can be. Many companies are now using web logs, or blogs, to market their skin care products. 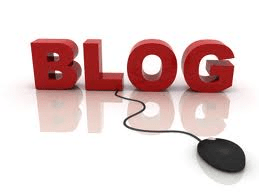 Blogs that advertise a brand, business, or website can have impressive results. Bloggers use marketing techniques like advertisements, reviews, recommendations, and comments to encourage the desired response from readers. The most popular blogs have thousands to millions of regular readers, making them strong voices in the online world. Adding an advertisement or video to a blog increases product awareness and drives traffic to the company website, where a purchase can be made. Posting product reviews on the blog tells readers more about items so they can determine whether these are suitable for them. A recommendation from a trusted source can skyrocket a skincare company to success. Businesses may have to pay a well-known blogger for this service but it is usually worth the cost. The marketing power of a blog is realized when a blog post goes viral. Blogs allow news to travel quickly, with readers of one blog learning something and blogging about it elsewhere or sharing it on social networking sites. Others read and pass along the information to more people. All of this word of mouth advertising costs the original blogger nothing. When advertising skin care products with blogs, it is important to control the message as much as possible. Illumination Consulting can help skin care clients with this because we have industry experience and a staff of experienced bloggers. Whether a skin care company needs assistance with getting started or wants to take its blog marketing efforts to the next level, we can help.